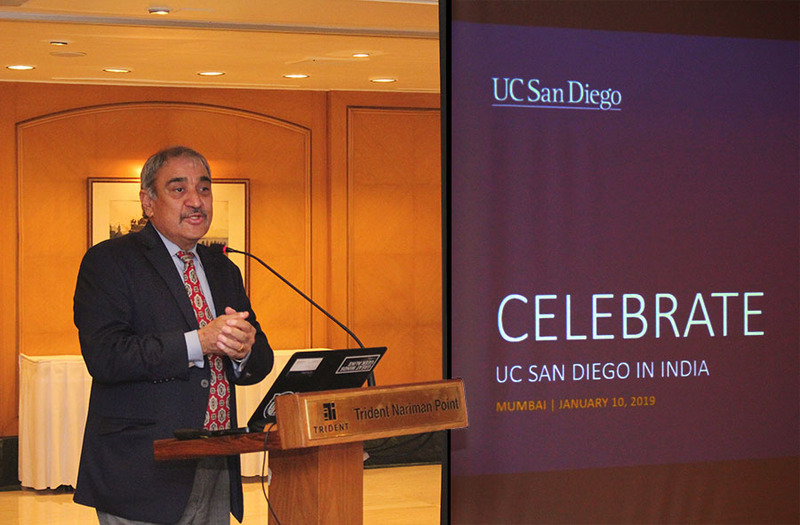 On Jan. 8-10, Chancellor Pradeep K. Khosla connected with alumni, parents, students and friends in three cities across India—New Delhi, Bengaluru and Mumbai. He discussed the exciting transformations happening on campus, including enhancing the student experience through creating new live, learn and play communities and transitioning to NCAA Division I athletics. He also noted the ways that UC San Diego is looking deeper at critical issues and engaging in research partnerships to transform the world. From the Institute for Practical Ethics, to the Contextual Robotics Institute and the Microbiome and Microbial Sciences Institute, UC San Diego remains at the forefront of cross-disciplinary innovation. Two UC San Diego faculty members also spoke about their work and how it affects global societies. Anita Raj, M.D., Tata Chancellor Professor of Medicine and director of UC San Diego's Center on Gender Equity and Health, has worked in global public health for over two decades, with a focus on public health issues in India for more than 10 years. 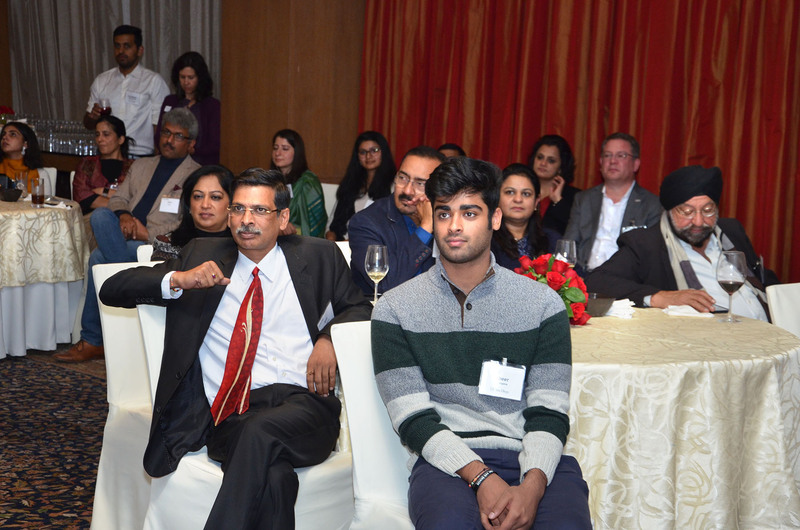 She shared highlights of the developments in human health and agriculture happening at the Tata Institute for Genetics and Society—a unique research hub that leverages experts from UC San Diego and India. In addition, Rajesh Gupta, Distinguished Professor of Computer Science and Engineering, spoke about data science and connecting the dots in the emerging science of health care. Gupta is founding co-director of UC San Diego’s new Halicioğlu Data Science Institute, a campus hub for dissecting massive amounts of data to inform research advancements—from tracking the Santa Rosa fires of 2017 to predicting cancer treatment outcomes.